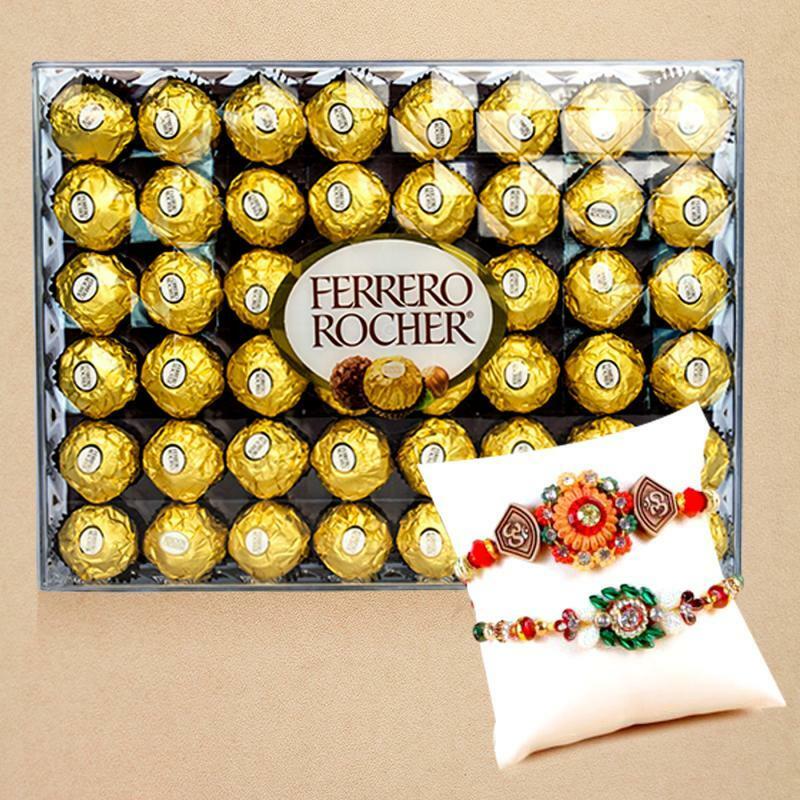 Celebrate this Raksha Bandhan in style, by gifting this lovely Rakhi and Rocher Gift Hamper and let him know how much you love and adore him. 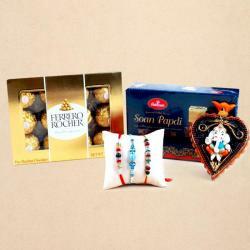 The amazing gift pack contains two very beautiful traditional and ethnic rakhis, which are going to be perfect for the occasion. 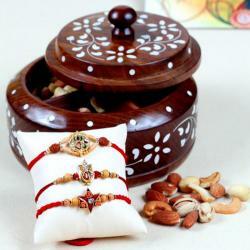 One of the rakhi features OM written on both sides of the beautiful dial, while the other one remains very simple. The hamper also includes a box of 48 pc Ferrero Rocher. 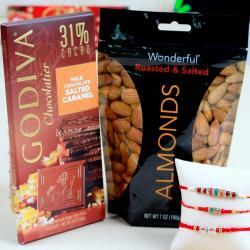 So gift this to your brother out there in USA and be ready to receive lots of appreciation. 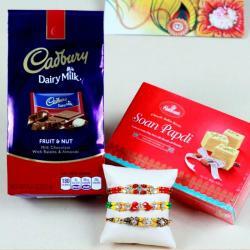 Product Details: Set of 2 Rakhis with 48 PCS Ferrero Rocher.